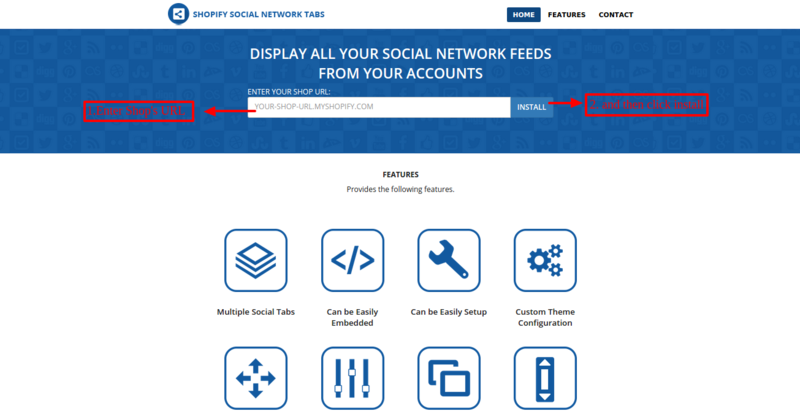 Social Network Tabs for Shopify is an awesome application which will combine all your favorite social network profiles, create their tabs and display them on front-end with a slider showing the tabs content. 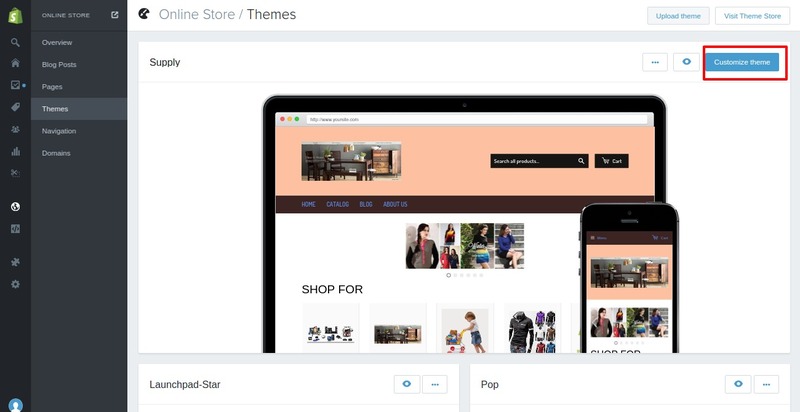 This app helps in making your store socially equipped with platforms like Facebook/Twitter/Instagram/Youtube/Pinterest/Tumblr and many more. Social Network Tab App Installation and configuration. After the installation, you need to buy the monthly plan available for this app. After clicking on the app you will be redirected to the Home Page of the app. 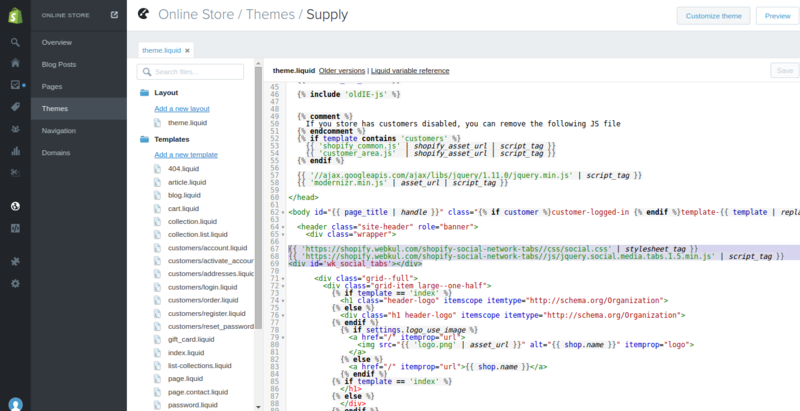 Select any .liquid file from the Templates or Snippet where you want to show the Social Network Tab. You can click on these tabs for changing the values of different settings. Default values are already set while the installation of this application, you can change them according to your requirement. For Example: If you want to set the values for Facebook Social Network, click on Social Networks Tab and then click on facebook icon tab which will get displayed after click Social Network Tab, fill the details and click on Save Credentials button. to set Display Settings, click on Settings Tab, fill the details and click on Save & Continue button. So this was the whole process for displaying Social Network Tabs at your site’s front-end. 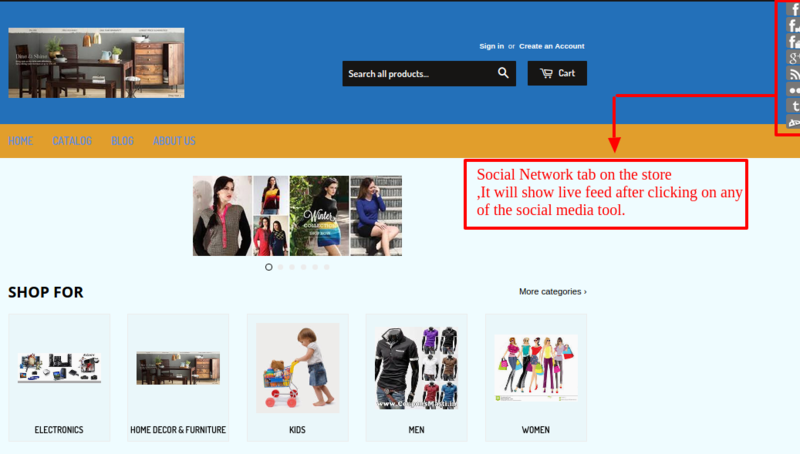 The Social Network Tab will appear on the store with all the social media tools configured at the backend and LIVE feeds. This is how “Social Network Tabs” app works.